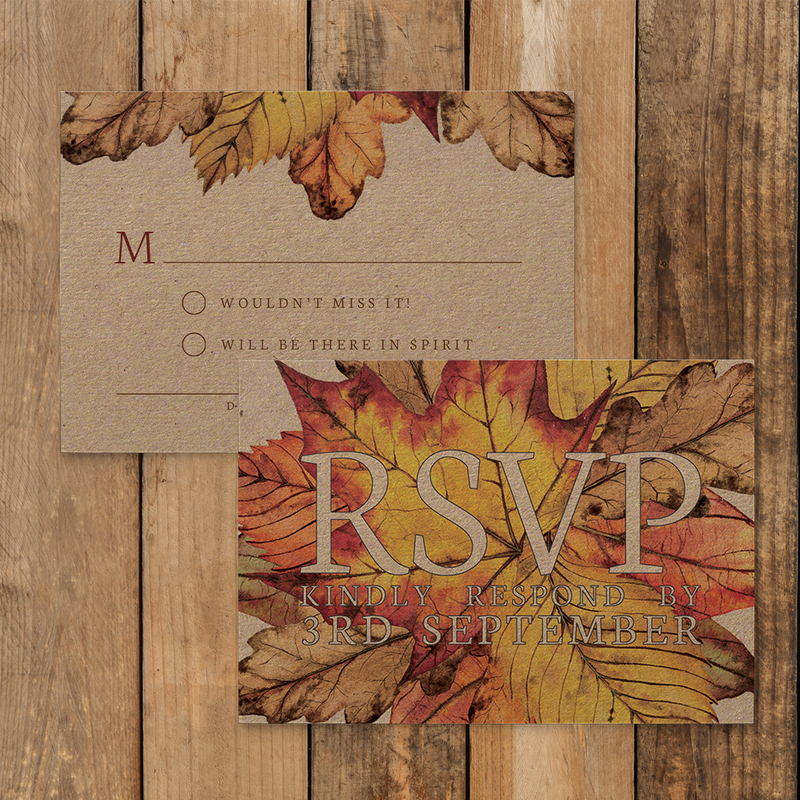 Wedding stationery set with an autumn leaf theme. 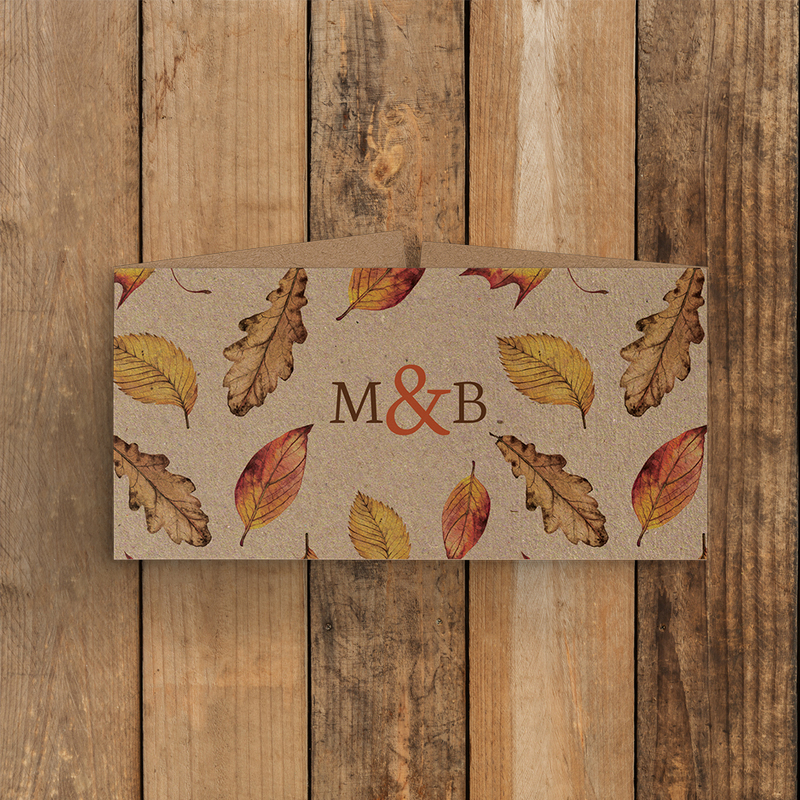 This set is beautifully printed on beautiful rustic 300gsm kraft cardstock. Invitations and RSVP cards come with matching kraft envelopes.